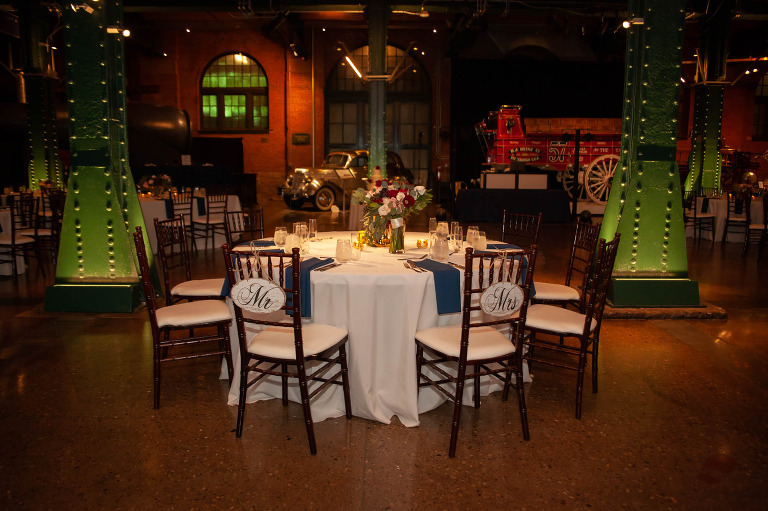 Pittsburgh has so much to offer for your out-of-town wedding guests. Often, first time visitors are shocked at what a beautiful and entertaining place it can be. Couples who have either moved here, or come here for school, decide to use our city as a destination wedding for their friends and family. 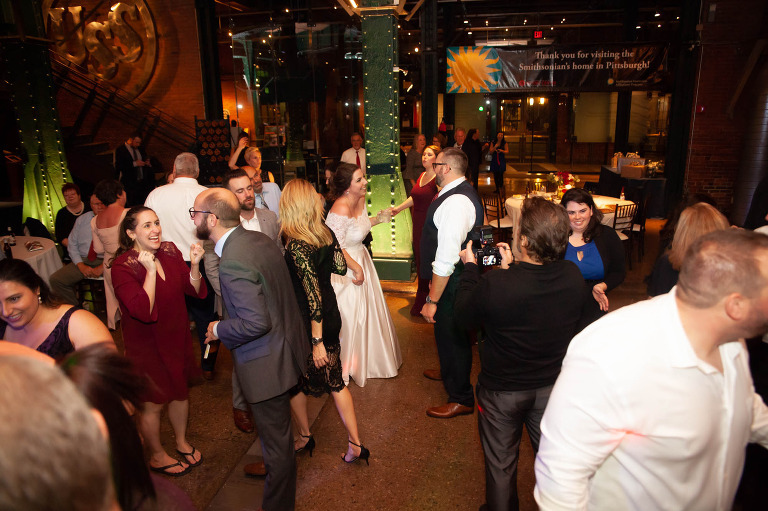 Most of the guests at Jenna and John’s wedding traveled to be a part of their wonderful day and the fantastic reception that was held at the Heinz History Center. The Grand Hall at the museum was a spectacular choice for dinner and dancing! 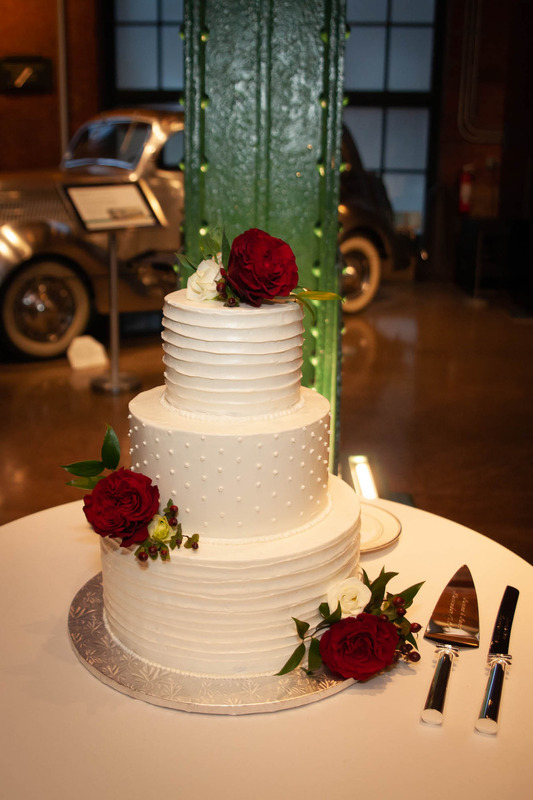 The wedding guests enjoyed touring parts of the museum before the celebration began. After a terrific dinner and special dancing, everyone was primed and ready for an epic dance party that included some of my favorite party songs of all time. 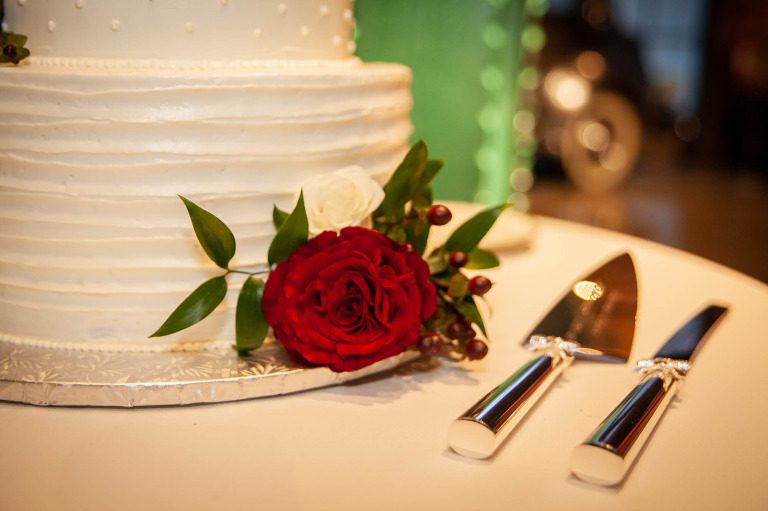 Jenna and John made sure all of their guests were treated to a fantastic evening that was well worth the trip. As the final few songs of the night played, and before heading to the after party, the happy couple were surrounded by all of their favorite people from all parts of the county. It was heart warming to see how much love everyone had for the newlyweds. I’m sure the trip was well worth it, to be part of an epic celebration that no one will soon forget.